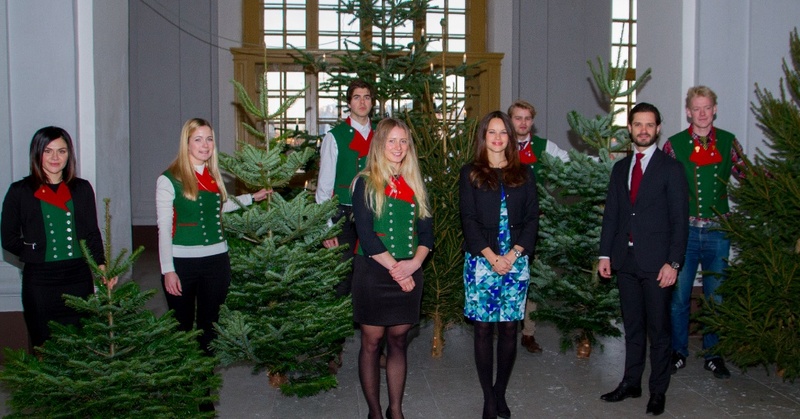 TRHs Prince Carl Philip and Princess Sofia of Sweden Receive Christmas Trees. On December 16, 2015, Their Royal Highnesses Prince Carl Philip and Princess Sofia of Sweden received several Christmas trees from students from the Sveriges Lantbruksuniversitet (Swedish University of Agricultural Sciences) at the Kungliga Slottet in Stockholm. Previous TSHs Prince Albert II and Princess Charlene of Monaco Distribute Christmas Gifts. Next (VIDEO) HSH Prince Albert II of Monaco Receives Another Award in NYC.